The Quik Pro is due to kick off tomorrow morning and with all time banks, an exciting forecast and a captivating title race underway it promises to be one of the most entertaining ever to grace France’s sun bathed south west coastline. 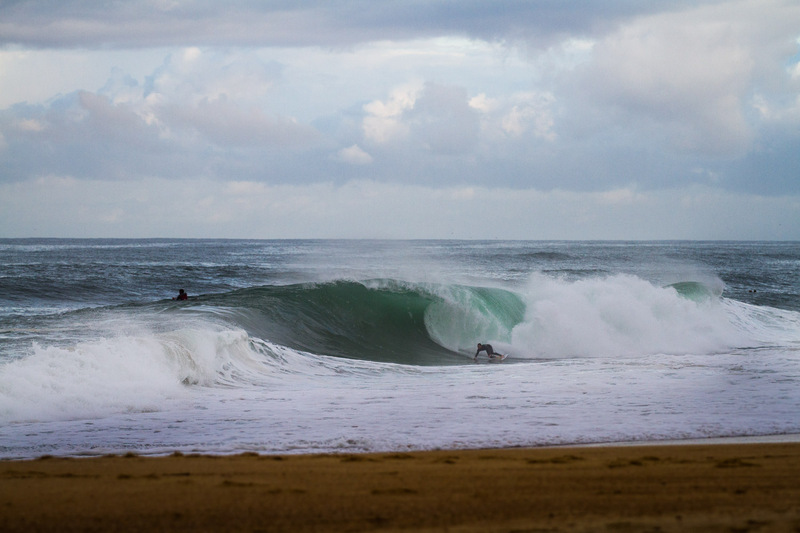 Expectations are high going into the event as the last few months have seen a whole host of amazing footage from Hossegor’s famed beachies. The last few days have also seen a series of epic sessions at La Grav, where both the local wildcard Joan Duru and world number two Gabriel Medina have appeared to be on blistering form. The event is a particularly critical one for Wilko as he is looking for a big result to keep his world title dreams alive. We caught up with him to ask about the dramatic transition from his position this time last year, where he was fighting to re-qualify, to his current spot at number three and whether he was feeling the pressure. Wildcard Leo Fioravanti will definitely be another one to watch when competition gets underway. He’s currently sat at number one on the QS rankings after a string of big results this year and is a force to be reckoned with in Le Grav’s hollow beachies. Be sure to tune in for the first call tomorrow at 7am GMT, for a potential start to what promises to be a very exciting start to the European leg.